This could be a great start to more sustainable single use of plastic to save the environment. Save the date! 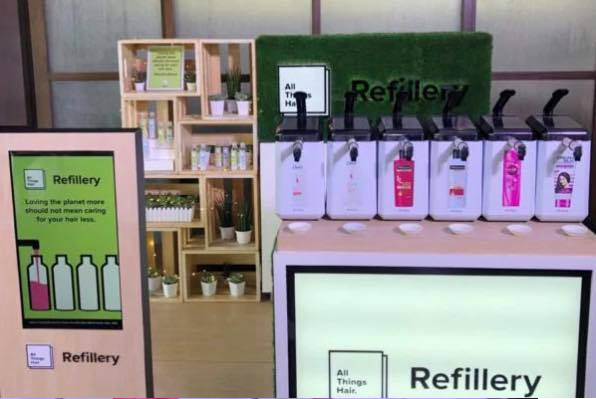 Starting March 23 until April 14, Unilever Philippines will be offering a refill station for your daily consumption of your shampoo and conditioner to three Ayala Malls (Alabang Town Center, Glorietta, and Trinoma), called 'The Refillery'. This will allow consumers to refill select shampoo and conditioner in their empty used bottles at discounted price based on weight, like Cream Silk, Dove, Tresemme and Sunsilk shampoo. The initiative would be a great helped to achieve the mission of zero plastic in the future. Hope that the initiative will not last for a limited time only. Trinoma: Level 2 Mezzanine near Nike and Melissa Pop-up Store. Glorieta 3: Ground Floor Lower Level near Lacoste. Alabang Town Center: Glround Floor near Etude House and Metro Department Store. Make sure that you will bring a clean empty bottles before heading to any of the refilling stations. Step1: Empty your bottle. Make sure there are no leftover shampoo or conditioner. Step2: Rinse your bottles thoroughly using a clean water. Step3: Wipe your bottles dry using a clean towel or let them air dry. They refill the used bottles that match the variants available at the station. Each station offers both shampoo and conditioner refills from Dove, Cream Silk, TreSemme, and Sunsilk. Here's the list of variants featured at all things hair refillery. Shampoo: Dove Straight & Silky Shampoo, TreSemme Keratin Smooth Shampoo, Sunsilk Smooth and Manageable Shampoo. Conditioner: Dove Straight & Silky Conditioner, TreSemme Keratin Smooth Conditioner, and Cream Silk Standout Straight Conditioner.